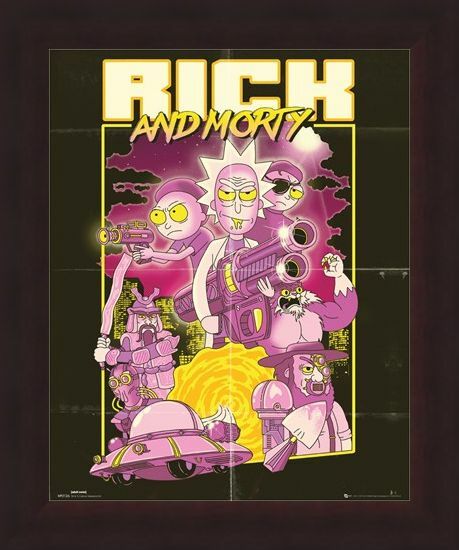 Grab this colourful poster while you can. 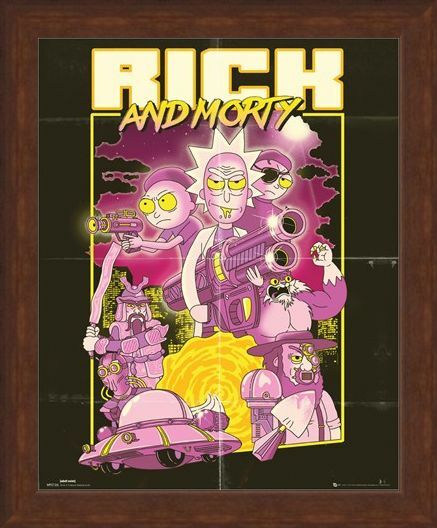 Designed to look like it was taken straight from a comic book, this Rick and Morty poster will turn any room into a Sci-fi haven. 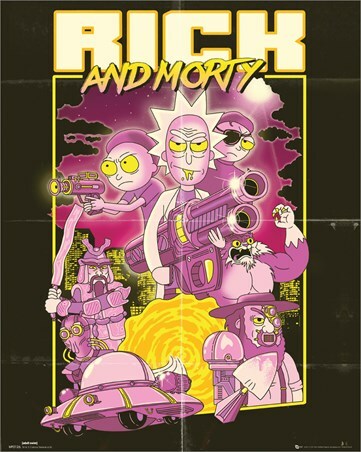 Featuring our favourite scientist and grandson due along side some iconic characters from the hit Adult Swim show, including - a juiced up Squanchy and an armoured Gromflomite from the Galactic Federation. 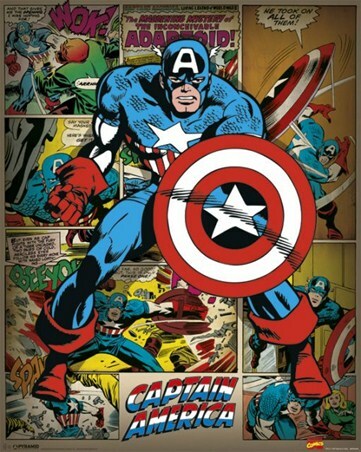 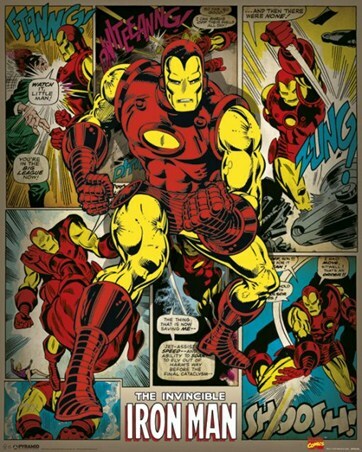 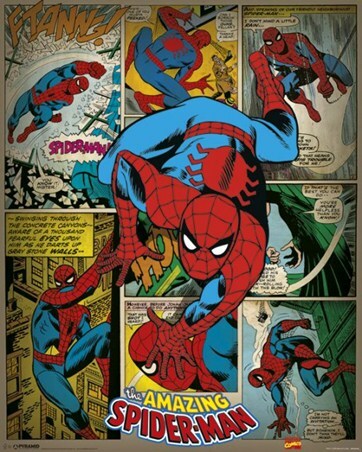 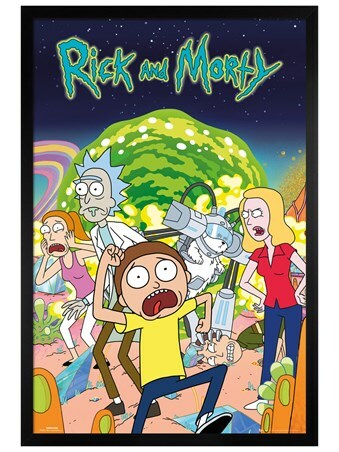 If you are a huge fan of the animated comedy, then this is a must have poster to add to your collection. 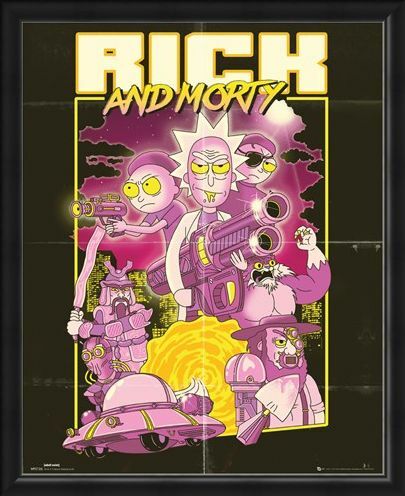 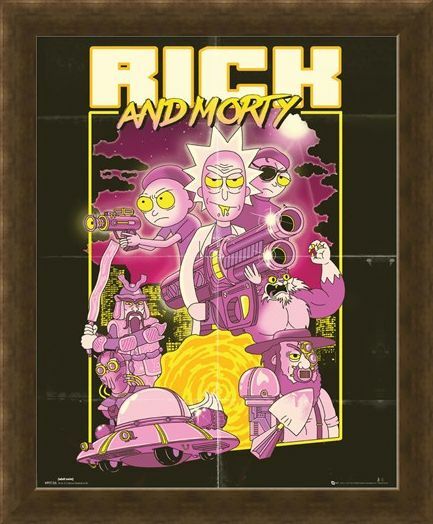 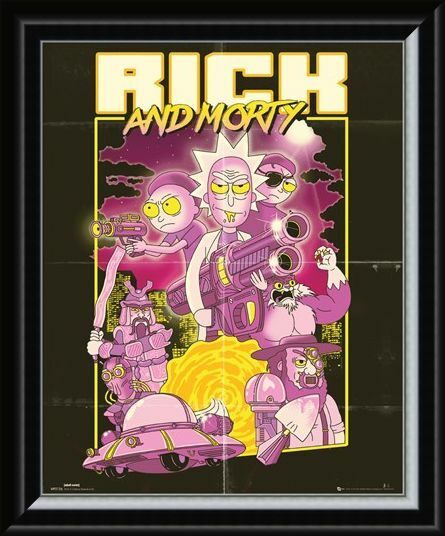 High quality, framed Action Movie, Rick and Morty mini poster with a bespoke frame by our custom framing service.